Attention grabbing - fast to assemble - look fantastic! Stand out with show-stopping banners, signs and posters for your next event or trade show. Expos, Trade Days, Gala Events, Seminars, Markets - whether you need to get attention or give direction, there's a banner, sign or poster to help you get seen. Pull-up banners with a sturdy domed base are ideal for high traffic areas. They are easy to assemble and look so sleek, professional and eye catching, adding height and impact to your space. 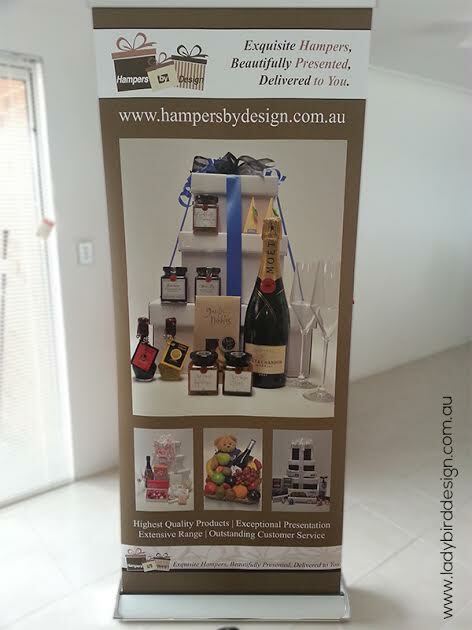 There's no end to the ways you can utilise a pull up banner. Expos, fetes, seminars, trade events, presentations. They are perfect to place along your driveway or at the entry to your premises or event. Vinyl banners with ropes & eyelets for various hanging options. Printed with UV inks for long lasting bright colours even in our harsh Aussie sun, these guys are ideal for outdoor sporting, retail or social events. Posters are designed to visually convey your message effortlessly to as many people as possible. Generally placed in high foot traffic areas such as shopping centres, office buildings, community centres, sporting arenas, schools and churches, your poster needs to quickly and clearly convey your message as your audience hurries by. These made the world of difference to my business. "These pull-up banners have made the world of difference to my business and the quality work is second to none!" The modern poster as we know it today was born in 19th century Paris. French artist, Jules Cheret pioneered the "3 stone lithographic process"; a print technique that gave artists the ability to print on mass, vividly coloured posters of text and graphics without large expense. These posters were designed to promote theatres, shows and exhibitions and considered the beginning of the modern age of advertising. Before that, posters were really nothing more than posted bills and placards for announcements. Made of wood or metal engraving with little colour or design, they were slow and expensive to produce. As printing techniques advanced and improved, the blending of art and print began. The invention of lithography meant the development of cheaper mass production printing. By developing the new technique of combining striking colours, innovative typography and low cost mass production, Cheret paved the way for artists to adopt the poster art technique. 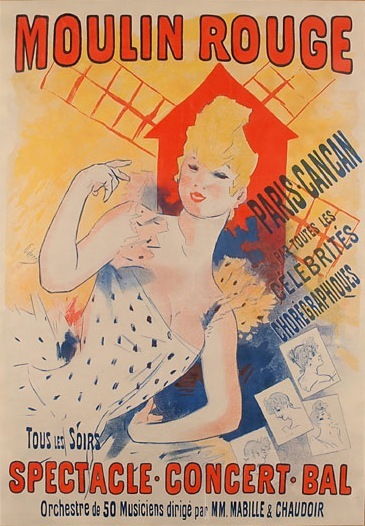 Cheret designed more than 1000 posters including the well known poster he designed for the opening of the Moulin Rouge in 1889. As the years past, the look and role of the poster changed. It would be heavily influenced by the art movement of the time as well as political and social events. World War I saw the poster take on a whole new role - propaganda. Posters had become an integral part of the war effort, communicating everything from recruitment and fund raising through to provoking anger towards the enemy. With each passing decade, posters have played a part in shaping the way consumers view products, services, events and moments. Posters have become a staple tool of business advertising and marketing and to this day, play an effective role in reaching your target audience. Make it easy for your customers to find you. Contact us to request your free quote or call 0417 936 697. Helping Your Business To Connect With The RIGHT Customers and DRIVE Sales. 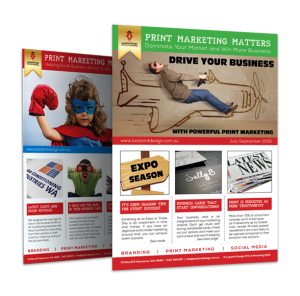 Print marketing tips & ideas to implement into your business today. 3 Marketing Design Mistakes Costing You Business!